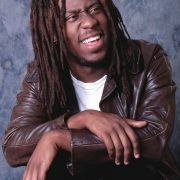 Pianist Robert Glasper missed his soundcheck at B.B. King’s nightclub for the vocalist he regularly plays with, the neosoul crooner Bilal. He was just too busy getting ready to go to Japan for a tour with drummer Donald Edwards and bassist Darryl Hall, and then head to France and Spain with his own trio. “I have to put my clothes in the cleaners, go pick up my visa from the Japanese consulate-all that kid of stuff,” Glasper says with a sigh. You can hear it in Bilal’s ethereal croon on two tracks from Glasper’s first CD, Mood (Fresh Sound New Talent). You can also hear Bilal sing on saxophonist John Ellis’ Roots, Branches and Leaves (same label; he also appears on Mood) and on pianist Orrin Evans’ forthcoming CD on Palmetto. “Everybody’s coping my idea; everybody wants to use Bilal now,” Glasper laughs, deep and hearty. Singing the melody is something you can often do with Glasper’s music. “I guess it is the singer inside of me; I’m singing through the piano,” he says. Glasper’s clean, open, delicate playing style showcases his free-flowing lines-“I try to work on my technique as much as possible, so when I want to do something I can”-and it allows plenty of room for bassist Robert Hurst and drummer Damion Reid (the three also teamed up on the bassist’s Unrehurst). He revisits Irving Berlin’s “Blue Skies” melody for the brief, hip-hop-flavored “Interlude,” where he also plays around with frequencies in the mix. He didn’t put a hip-hop section in the middle of “Blue Skies” because he didn’t think it would work, but Glasper admits that he wanted to represent his generation’s music somewhere on the CD. In addition to recording with Bilal (whose new CD is scheduled for spring) and playing the electric keys on Terence Blanchard’s Bounce (Blue Note), Glasper has made appearances on Fresh Sound CDs by his fellow former New Schoolers Marcus Strickland (Brotherhood; At Last) and Jeremy Pelt (Profile), two of the most promising young players around. Add Glasper to that list. Glasper should get used to passing out his card; he’s going to be in much demand-if he can find the time to play music between trips to the cleaners.